• Fixing elastic prevents the notebook from opening untimely. 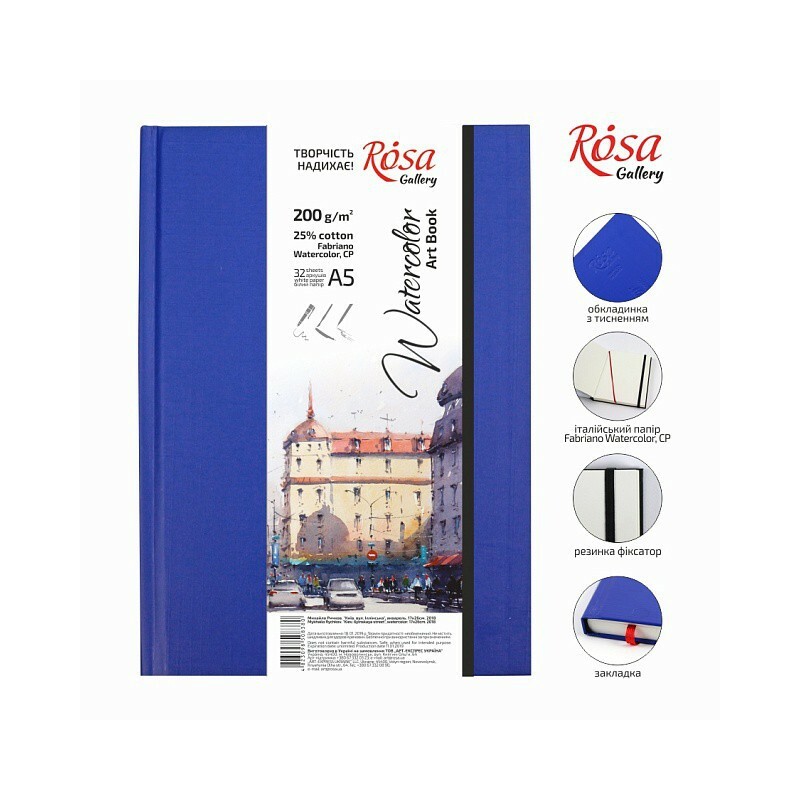 ROSA Gallery Notebooks for Watercolors ROSA Gallery Notebooks for Watercolors are made of high-quality Italian two-side paper for painting with watercolors, water-based markers and liners. Staplebound Notebooks have hard covers with linen stamping. Such notebooks are durable and convenient. 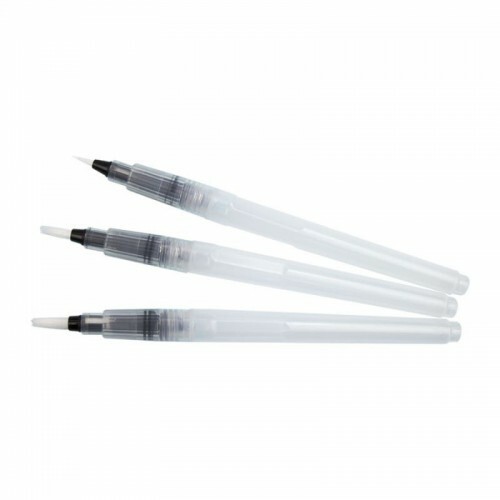 They are excellent for making sketches on the journey or on the move, as well as for working en plein air. The works are safely kept in the notebook for a long time. 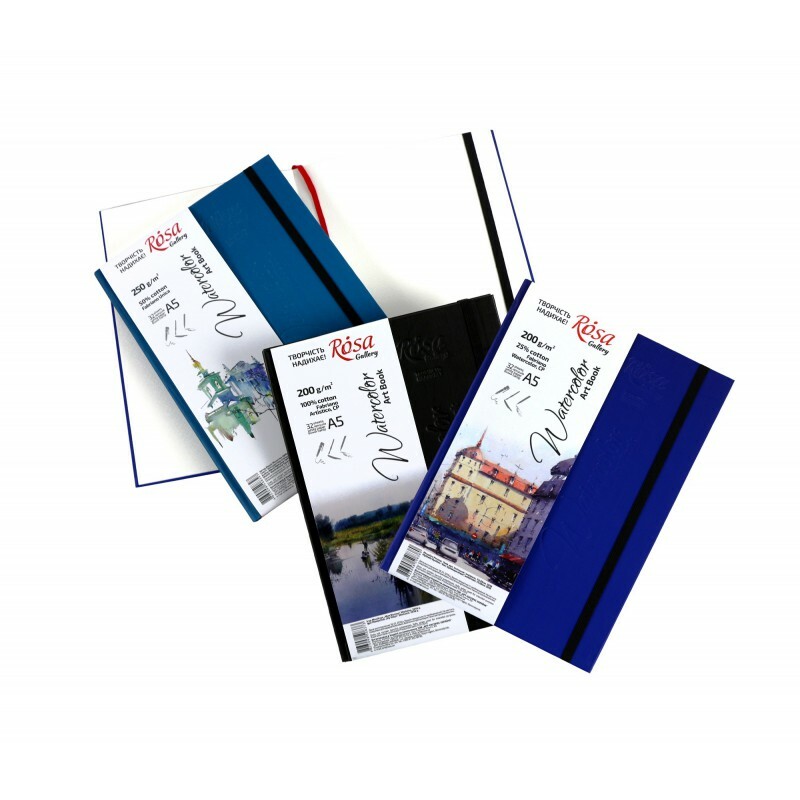 Hard cover, high-quality binding and two-side paper ensure working comfortably on the whole spread of the notebook enlarging the popular A5 size. 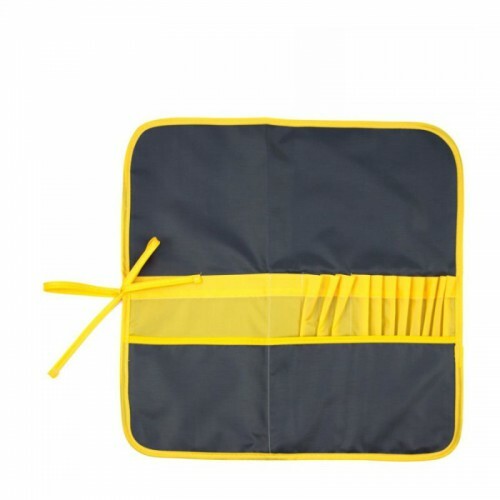 Vertical fixing elastic prevents the notebook from opening untimely and holds the sheets together. 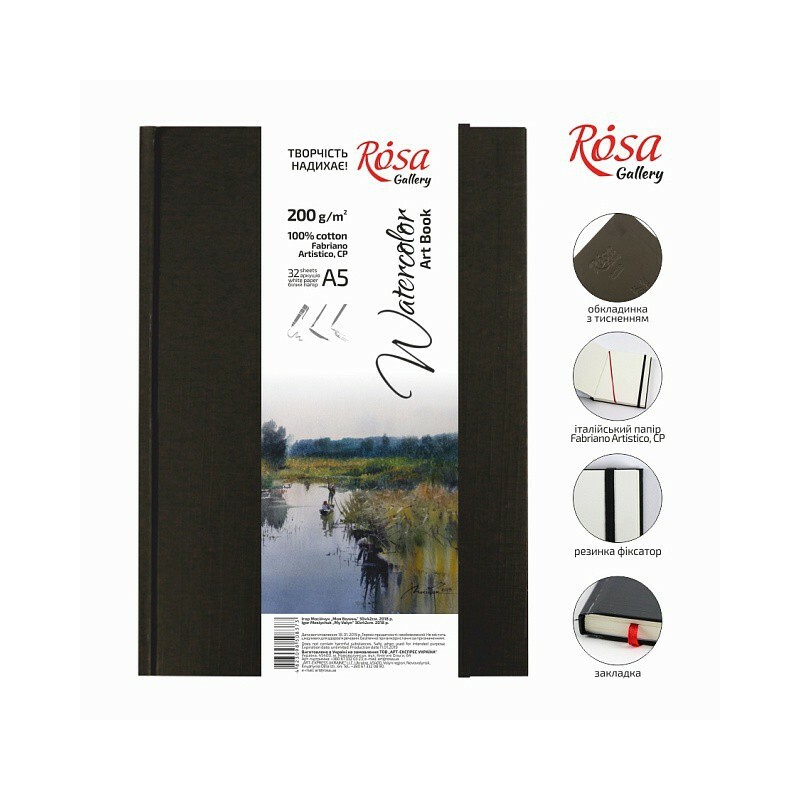 ROSA Gallery Notebooks for Watercolors are made of three types of paper differing in composition, paper weight and texture. Artists are able to decide on the type of the notebook according to their favorite fine art style and technique. 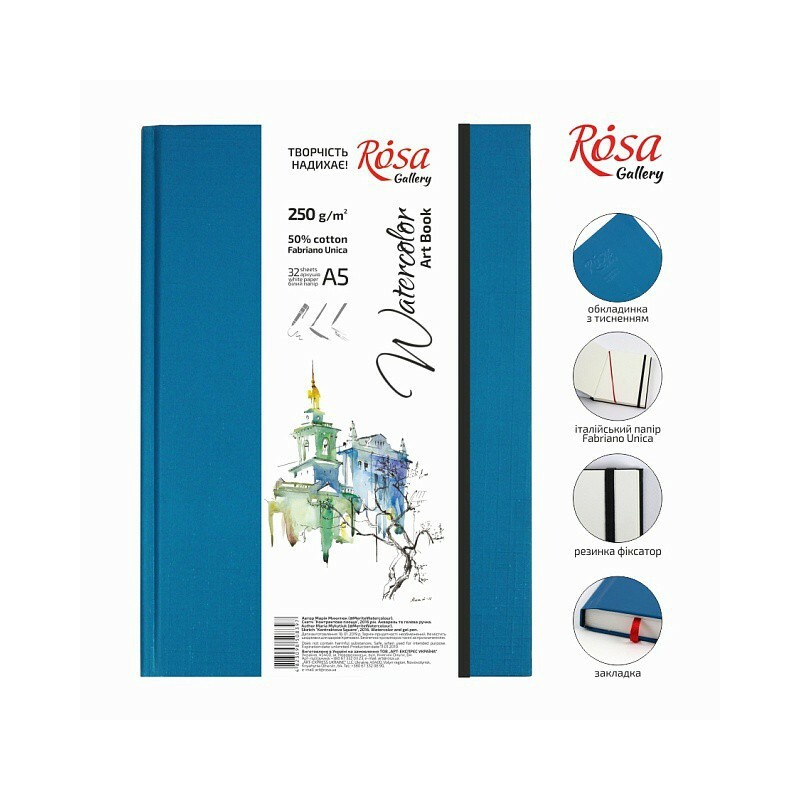 Professional artists, sketchers, illustrators and watercolor fine art technique new-comers will enjoy working with ROSA Gallery Notebooks for Watercolors.